Today the Census Bureau partially released the 2016 American Community Survey (ACS) health insurance data. According to the data, the insured rate among children under age 19 is now at an all-time high of 95.3 percent. This continues the upward trend of the children’s insured rate since 2008. Overall, 2016 shows promising developments for children’s health coverage. ACS data shows that the children’s uninsured rate in the United States significantly declined from 5.1 percent in 2015 to 4.7 percent in 2016, a 0.4 percent decrease over one year. 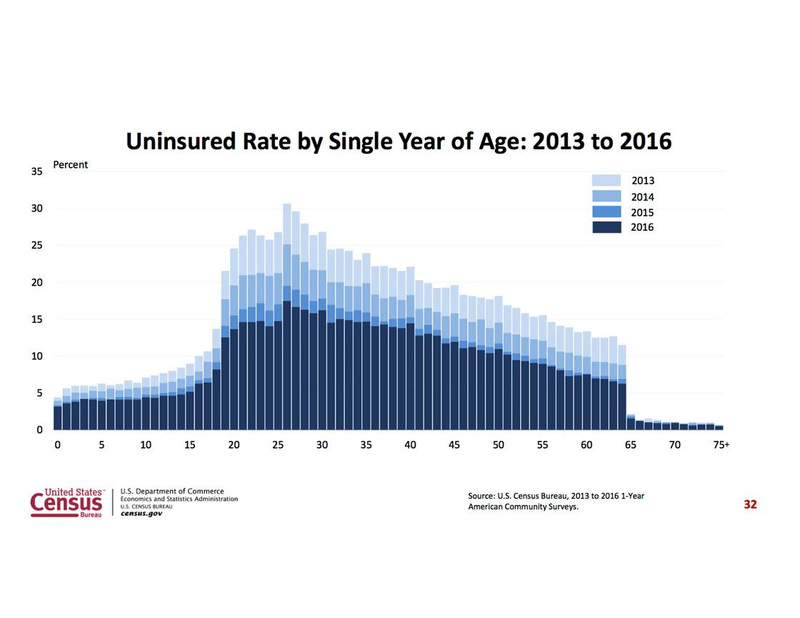 Additionally, the number of uninsured children decreased by approximately 300,000 from 2015 to 2016. The number of uninsured children has dropped by more than half since 2008. The Center on Budget and Policy Priorities reports that this is the first time since 1988 that poverty has decreased, household income has increased, and uninsurance has decreased for two consecutive years. These encouraging figures, especially regarding health insurance, call to mind the importance of the Affordable Care Act, Medicaid, and Children’s Health Insurance Program in ensuring children’s access to coverage. While the U.S. has made significant improvement in children’s coverage since 2008, there are still over 3.6 million uninsured children in the United States. With the CHIP funding extension deadline looming on September 30, children around the nation are counting on Congress to extend program funding in order to sustain the gains made in children’s health coverage. For more information on children’s coverage, including state-level data, stay tuned for our annual 50 state report due later this year. Note that our annual reports only include data on children under age 18 due to age breakouts in ACS data. The data released today uses alternate age breakouts and accounts for children under age 19. Reports from previous years may be found here.